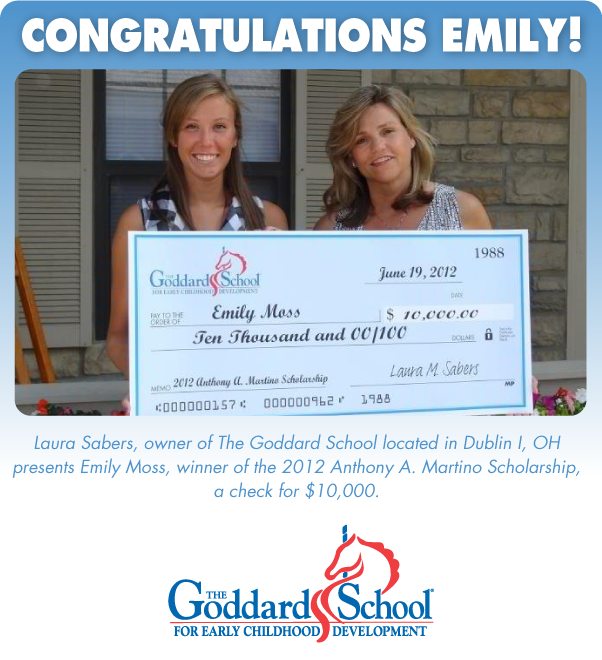 The Goddard School® Announces Recipient of the 2018 Anthony A. Martino Memorial Scholarship! We are excited to announce that Sabreena is our 2018 $10,000 Anthony A. Martino Scholarship winner! 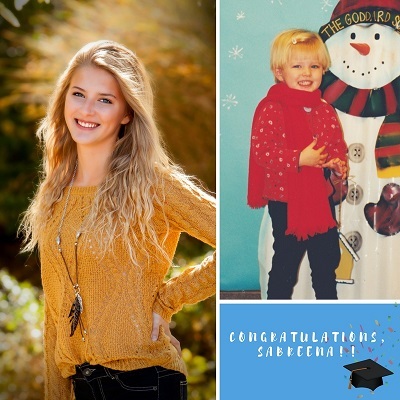 Sabreena is a 2004 Pre-K graduate from The Goddard School located in Oakville, MO. We wish Sabreena the best of luck in her future academic adventures! We would also like to congratulate our Scholarship runners up, Chloe and Joseph, for their outstanding academic achievements, social contributions, enthusiasm and motivation. We wish you both continued success! We are excited to announce that Logan is our 2017 $10,000 Anthony A. Martino Scholarship winner! Logan is a 2004 Pre-K graduate from The Goddard School. We wish Logan the best of luck in his future academic adventures! We would also like to congratulate our Scholarship runners up, Alexia and Ryan, for their outstanding academic achievements, social contributions, enthusiasm and motivation. We wish you both continued success! KING OF PRUSSIA, PA (January 19, 2016) – Goddard Systems, Inc. (GSI), the national franchisor of The Goddard School® preschool system focused on learning through play, is now accepting applications for the 8th annual Anthony A. Martino Memorial Scholarship. Awarded annually to one high school senior who graduated from The Goddard School Pre-Kindergarten or Kindergarten program, the prestigious scholarship honors an alumnus whose work ethic and perseverance parallels that of Anthony A. Martino, the founder of The Goddard School franchise system. Three finalists will be selected based on academic record, participation in school, community service, work experience, expressed goals and aspirations along with a video submission. Awarding more than $70,000 through the Anthony A. Martino Memorial Scholarship, The Goddard School continues to provide windows of opportunity to college-bound alumni. Applications must be submitted by March 11, 2016 to be considered for the scholarship. The finalists for the scholarship will be selected and notified on or before April 4, 2016 and will be posted on Goddard System, Inc.’s social media accounts by April 25, 2016. The recipient will be selected and announced on or beforeMay 10, 2016. 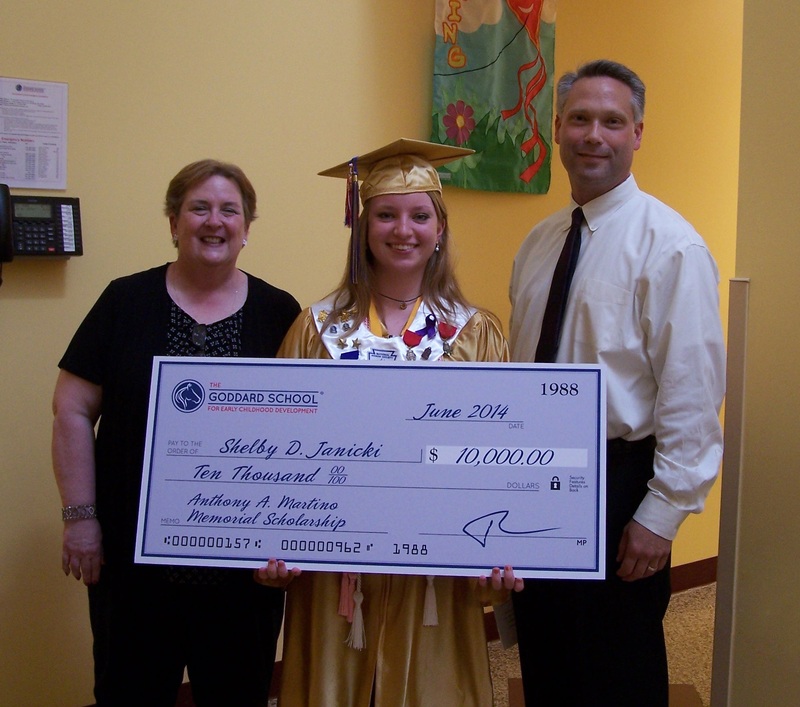 Only one recipient will be selected for the Anthony A. Martino Memorial Scholarship. For more information on scholarship rules and criteria, please visit www.goddardschool.com/approach-to-education/scholarship. For more information on The Goddard School, please visit www.goddardschool.com. Learning for fun. Learning for life.® For nearly 30 years, The Goddard School has used the most current, academically endorsed methods to ensure that children from six weeks to six years old have fun while learning the skills they need for long-term success in school and in life. Talented teachers collaborate with parents to nurture children into respectful, confident and joyful learners. The Goddard School’s AdvancED- and Middle States-accredited F.L.EX.® Learning Program (Fun Learning Experience) reaches more than 50,000 students in more than 440 Goddard Schools in 35 states. The Goddard School’s comprehensive play-based curriculum, developed with early childhood education experts, provides the best childhood preparation for social and academic success. To learn more about The Goddard School, please visit www.goddardschool.com. on learning through play for children from six weeks to six years old, proudly announces Haley Malloy of Henrico, VA as the winner of the 7th annual Anthony A. Martino Memorial Scholarship. The scholarship is open nationally to seniors in high school who have graduated from The Goddard School Pre-K or Kindergarten program, and is awarded to one applicant who has demonstrated the work ethic and perseverance that exemplified Anthony A. Martino, the founder of The Goddard School franchise system. 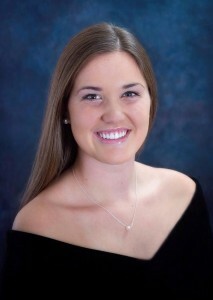 Haley graduated from the Pre-K program at The Goddard School located in Henrico, VA in 2002, and credits much of her academic success and career path to her early experiences at The Goddard School. 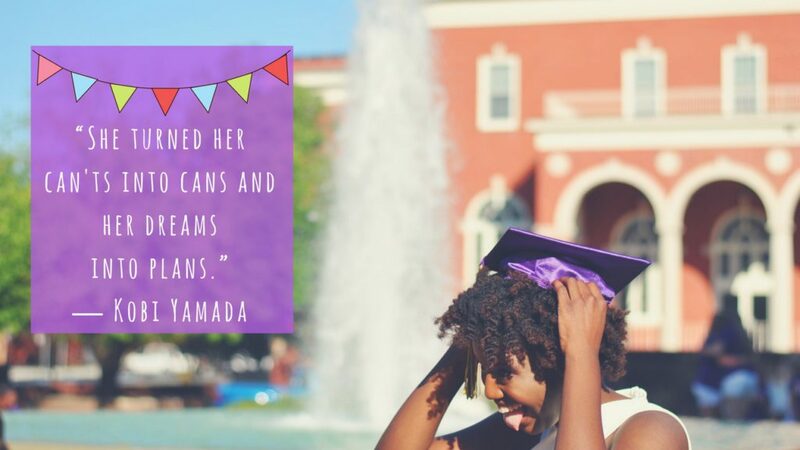 Having already made the decision to attend Texas Christian University, Haley will be pursuing a degree in early education when she begins college this fall. Katrina David and Matthew Newman who attended The Goddard Schools located in Sayreville, NJ and Montgomeryville, PA respectively, were selected as finalists for the scholarship. The Goddard School has awarded more than $70,000 to its alumni through the Anthony A. Martino Memorial Scholarship program, and that number will continue to grow as more and more former students prepare for the leap into college. The Goddard School® preschool system which focuses on learning through play, is putting out a call for entries for its 7th annual Anthony A. Martino Memorial Scholarship. 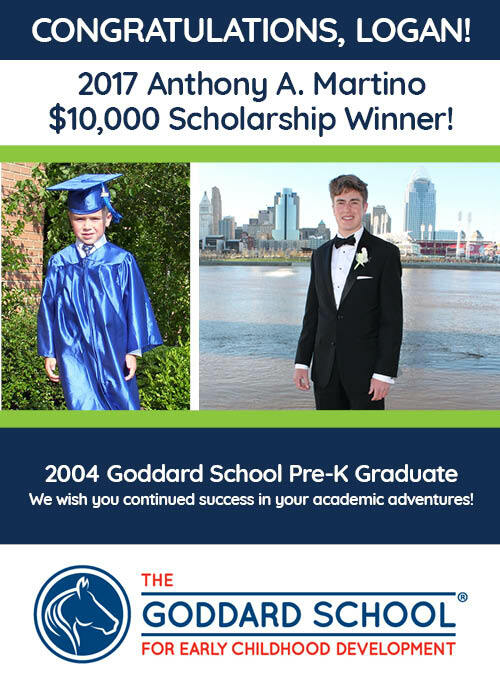 Open to any senior in high school who has graduated from The Goddard School Pre-Kindergarten or Kindergarten program, the scholarship is awarded annually to a graduate who has demonstrated the work ethic and perseverance exemplified by Anthony A. Martino, the founder of The Goddard School franchise system. The Scholarship finalists will be selected based on academic record, participation in school and community activities, honors, work experience, expressed goals and aspirations along with a video submission. Awarding more than $60,000 through the Anthony A. Martino Memorial Scholarship, The Goddard School continuously provides opportunities and benefits for college-bound alumni. Applications must be submitted by March 16, 2015. The finalists for the Scholarship will be selected and notified on or before April 28, 2015 and posted on Goddard System, Inc.’s social media accounts by May 11, 2015. The recipient will be selected and announced on or before May 26, 2015. Only one recipient will be selected. WHAT: The Goddard School®, the premier preschool and childcare center for children from six weeks to six years, is calling all graduates to apply for the 2013 Anthony A. Martino Memorial Scholarship (AAMMS). The $10,000 scholarship is open to any junior or senior in high school who graduated from a Goddard School pre-kindergarten or kindergarten program. To apply, eligible students must submit a completed application along with a 30- to 120-second video essay about how their Goddard experience influenced their career path or education. WHEN: Completed applications must be submitted by March 27, 2013. WHERE: Video essays should be mailed to 1016 West Ninth Ave, King of Prussia, PA, 19406 – ATTN: Scholarship. WHO: The AAMMS is named in memory of the founder of The Goddard School franchise system, an entrepreneur who started several other well-known franchise companies including AAMCO Transmissions, Inc. and MAACO Auto Painting and Bodyworks, Inc. Mr. Martino worked his way up from humble beginnings to achieve great things for himself and his family.